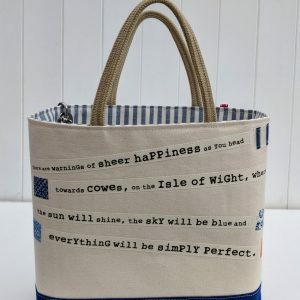 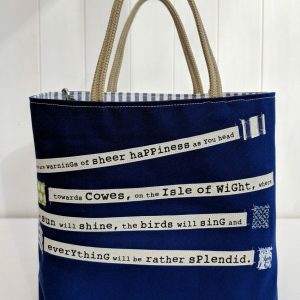 The Shipping Forecast Bags celebrate a little slice of British life by featuring the ‘Shipping Forecast’, which is broadcast in poetic tones thrice daily on Radio 4. 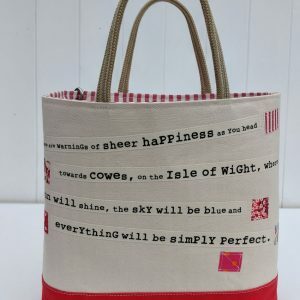 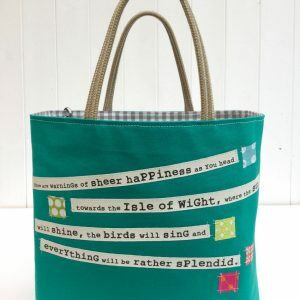 The text shown on our photos (note their are subtle differences with each bag) references the Isle of Wight, but the bags are made-to-order and can feature any city, town, village or beach resort. 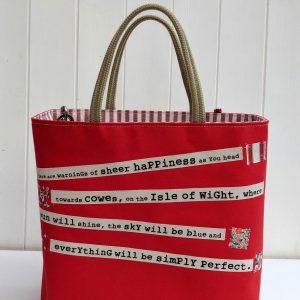 Simply add your own placename when you order if you would like to personalise your Shipping Forecast Bag!